Who we are — Organize to Win! Since 1998, the Brookland Manor/Brentwood Village Residents Association has organized to protect our community. 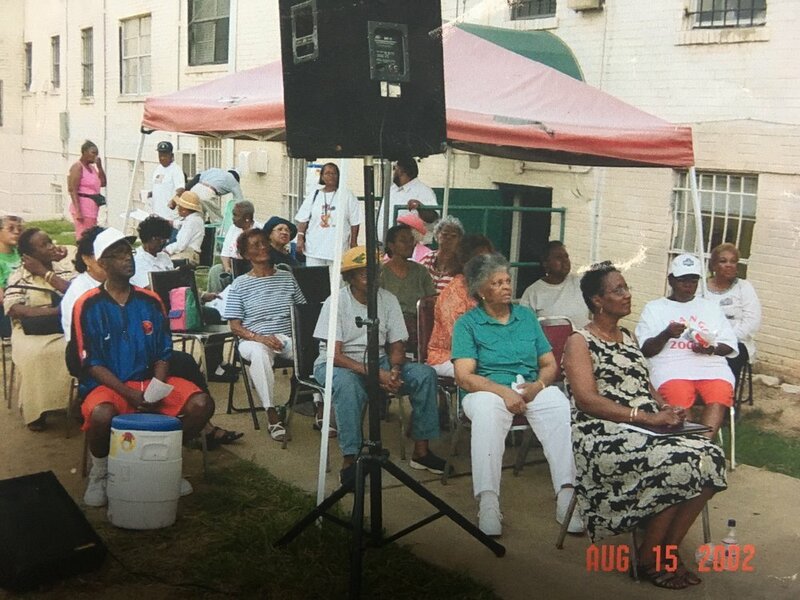 Throughout the years, we have continued to be active in the fight to protect, preserve, and expand affordable housing, including for families, in our community here in Northeast Washington, DC and across the city. Brookland Manor/Brentwood Village Residents Association meeting outside in the community, 2002.